PinPoint Card ® Inc. fully supports your right to protect your privacy and we make every effort to address your concerns. We have written this statement to display our policy regarding how we capture your business data and how we intend to use it. 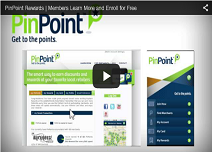 PinPoint Card policy only allows permission-based emails (opt-in) to be sent to members/customers. 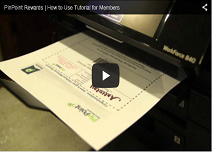 Members/customers always have the opportunity to opt-out of non-transactional email messages, by sending an email or by contacting the sending merchant directly. If you believe that you have received an unsolicited commercial email from PinPoint, you may report it to us at info@pinpointcard.com. When you visit our website, we capture your IP server address to help solve problems with our servers and administer our website. We may gather wide-ranging demographic information using your IP address. We may capture the type of browser you use and your operating system, the date and time of your visit, the pages you visit, and the IP address of the website from which you linked to ours, if applicable. We cannot obtain your email address or other personal information that will specifically identify you. Our registration form will require you to provide contact information, such as your name, email address, mailing address, and phone number. We may also require you to create a username and password. This allows us to keep a user profile, so that we may customize preferences for each user, as well as provide a more efficient way for merchants to submit information to PinPoint when updating their program components or requesting information. We give you the option of submitting business information such as sales data, number of employees, NAICS code, and/or other information. This allows us to possibly tailor any specific features, promotions, or other notifications to better serve you and your interests. You are given a choice on whether you want to be on PinPoint's mailing list, or whether you would prefer to opt-out and not receive any mailings from us. If we sponsor any contests or offer any other promotional features on our site and you choose to participate, we may again ask for your name, address, username and password, so that we are able to better administer the contest and notify winners. We may also use the information we collect to occasionally notify you about important functionality changes to the website, new services, new features, and special offers we think you'll find valuable. If you would rather not receive this information, or would like to opt-out of any information distribution, you may update your registration profile at any time. 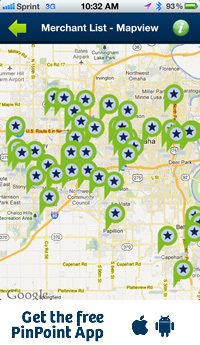 PinPoint Card implements several security measures to maintain the safety of your business profile. Business information is stored behind secured networks and can only be viewed by a very limited number of employees who have special access to secured information. Whenever you order or request information, we offer the use of a secure server. Any sensitive information you provide, such as credit card information, is transmitted via Secure Socket Layer (SSL) technology, encrypted into our databases, and only accessed as described above. PinPoint contains links to other sites. PinPoint is not responsible for the privacy practices or the content of these linked sites. We never sell or trade your credit information, purchasing habits, payment information or any individual navigation data to any outside party for any reason. However, we may collect and use statistical data in aggregate form to analyze navigation and purchasing habits and may share this aggregate-level data with partner companies. PinPoint will only share this data with other companies that have appropriate non-disclosure and similar confidentiality agreements. We may also occasionally share our mailing list with other companies that offer exceptional products or services. If you want to be removed from our mailing list, please update your registration profile or email us at Info@PinPointCard.Com.